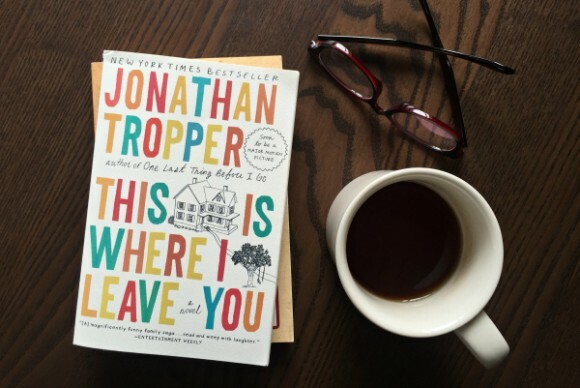 People got excited when I shared I was reading This is Where I Leave You by Jonathan Tropper. I had never heard of the book, but had seen previews for the movie so like any good English teacher, I made sure I read the book first. As I’m writing this, I have not seen the movie yet. This is Where I Leave You follows Judd Foxman as he navigates a wife that leaves him for his boss (and then finds out she’s pregnant with Judd’s baby), his father’s death from cancer, and seven days sitting shiva with his overbearing mother and estranged siblings. Judd’s family is highly dysfunctional and the week at home, as he deals with his marriage ending and his father’s death, is just too much for him to bear. With a whole cast of interesting characters, seriously funny plot twist, serious heartbreaking moments, and a few completely shocking incidents, I can see where so many people loved This is Where I Leave You and how it became a movie script. I’m interested to see how some of the storylines play out on screen and how they write all of Judd’s internal dialogue because his commentary on his life is smart, funny, and poignant. I hope that isn’t lost in the film. Either way, This is Where I Leave You by Jonathan Tropper is a good adult fiction read, entertaining and thoughtful. Thanks, Mary! I honestly had not heard of the title either as a book or a film, but after reading your review I am intrigued and will likely read it! Thanks!! So many good books out there and I love when another writer/blogger gives a glimpse into one! It’s definitely interesting–let me know what you think if you read it!